HE HAS appeared on Russell Howard's Good News, Revolver, The Sketch Show, and Mock The Week, and now he is coming to Galway to play the Roisin Dubh Comedy Clubh tomorrow night. 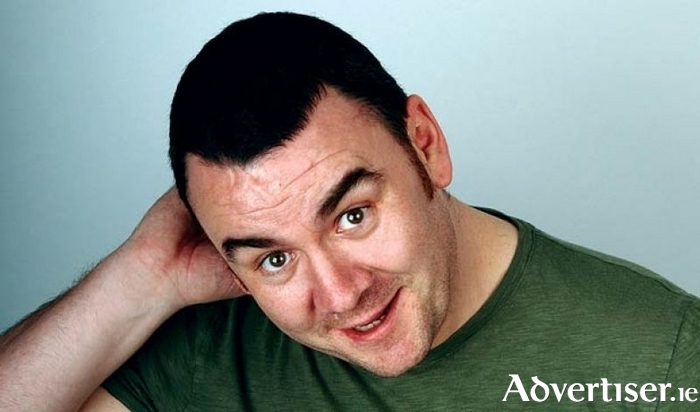 One of Ireland’s most sought after and experienced stand-up comedians, Johnny Candon regularly plays at all the major comedy venues including Jongleurs and The Comedy Store in the UK. He tours the Middle East, Australia, and China delighting audiences with his easy style and engaging presence. Described by The Scotsman as a “likeable raconteur”, Johnny has toured Britain with John Oliver, Ricky Gervais, and Neil Delamere, played the Edinburgh festival, and was a founding member of the critically acclaimed Robin Ince’s Book Club, performing with Russell Brand to Stewart Lee. Support is from Jim Elliot, an American with a unique perspective on Irish life. The MC is Steve Bennett. Tickets are €8 in advance from roisindubh.net, Roisin Dubh, and [email protected] shop street, or €10 on the door. Doors are at 9pm. Page generated in 0.0937 seconds.